AB 3197 is a much-needed tax fix that rightly treats property used in spaceflight as inventory, reducing an unnecessary tax burden on aerospace companies, a policy choice that will continue to foster job growth in the important space commercialization sector in California. 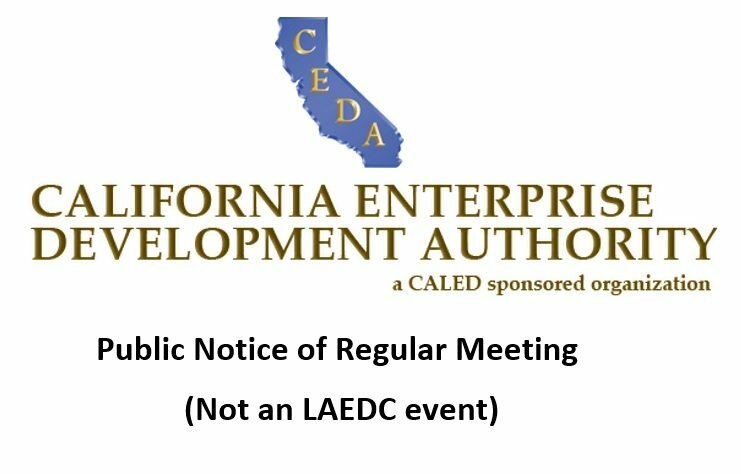 This bill simultaneously sends a message to all current and future space companies that “California is open for business.” Read LAEDC’s support letter below. Take action! Send letters of support to Assemblywoman Burke’s office, [email protected] and contact the committee chairs based on status and progress of the bill. On behalf of the Los Angeles County Economic Development Corporation, an organization dedicated to advancing equitable opportunity and prosperity for LA County’s residents, I am pleased to offer our support for Assembly Bill (AB) 3197 (Burke), as amended. This bill would reauthorize and extend existing statute regarding the classification of qualified property used in space flight as inventory not subject to personal property tax, treating spaceflight property the same as other shipping and transportation services, as well as the same as business inventory associated with other non-professional services. Like its antecedent bill, AB 777 (Muratsuchi), which was enacted and chaptered (Chapter 13, Section 242 of the Revenue and Taxation Code) in 2014, we believe AB 3197, which extends the property tax exemption for equipment used in flight travel, is critically important to retaining, expanding and attracting high-growth firms, such as Space X and Virgin Galactic, in California’s fast growing space commercialization industry – a “homegrown” California industry that is not only carrying on the state’s historical aerospace dominance, but continuing to push the creative limits by changing the contours of the aerospace industry and expanding the bounds of what is possible in privately-supported space travel. The rationale for AB 3197 is simple: the space industry, once dependent on defense, NASA and other federal appropriations, continues to grow exponentially in California through privately-supported space commercialization. It is an export-oriented industry that we must not take it for granted, as its location here is optional (not dependent on the locally-serving population). The space industry’s decision – again, its choice – to be in our state is a great distinction and of great value, not only for our regional economy but also for our communities that benefit from the many thousands of well-paying, high-skilled jobs – at all phases along the product/service development value chain, as well as the indirect and induced “ripple effects” on wages, jobs, output, tax and investment dollars that flow into the state’s different regions. We, as economic developers and policy makers, would be wise to remember that a cornerstone of California’s innovation-based economy, including the Internet, emanated from our aerospace industry. Accordingly, it’s critical that we ensure this all-important industry can continue to research, design, create, build and export here. Stability in state tax policy through AB 3197 will help ensure this by continuing a successful, sensible law that reflects and accommodates the realities of an evolving industry that supports both large and small businesses and suppliers working on a wide variety of programs and technologies including satellites, unmanned aircraft systems, space launch vehicles and space flight propulsion systems. Please pass this important legislation that will accelerate future developments in the los angeles economy. It is critical that we remain at the forefront of advanced manufacturing industries.